I have read and enjoyed every single book in this mystery series. I enjoy it so much, I recommend it whenever I can. 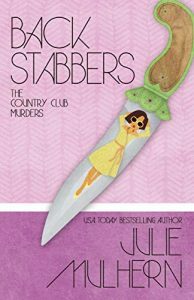 As far as cozy mystery series go, I don’t know if you can do better. The series is set in Kansas City during the 1970’s. The characters are part of the upper crust, country club herd. Ellison Russell is our sleuth extraordinaire. While she is part of the country club group by birth, she is busy trying to break out and make a life of her own. Well, except it is pretty nice to have the money and the house and the… you name it. She also has a teenage daughter who is as flip as you can imagine. Her mother is a hoot though she seems to blame Ellison for her social faux pax of habitually finding dead bodies. Ellison is pretty tired of it, too. As usual, Ellison discovers a corpse and this one is one that she will likely never forget. This starts the ball rolling and she is drawn into solving the crime and others along the way. Her relationship with Detective Anarchy Jones moves along at the pace of a stampede of turtles – that is to say, a little on the slow side. That’s okay, I think relationships that are built slow can be built true from the beginning. 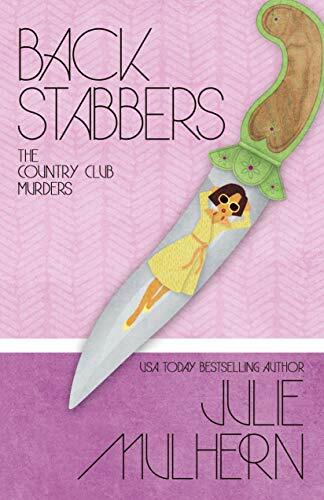 I’m already waiting for the next book to be published and, in the meantime, have discovered Ms. Mulhern has started publishing a new (and much more modern) mystery series. So off I go to read those, too.